How Would You Like To Grow Into A Tree After You Die? Did you know that you can grow into a tree after you die? 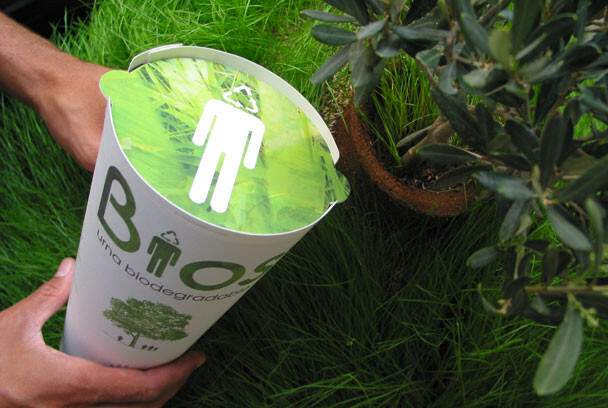 Bios Urn is a funerary urn made ​​from biodegradable materials that will turn you into a tree after you die. Inside the urn there is a pine seed, which can be replaced by any other seed or plant, and will grow to remember your loved one. Bios Urn turns death into a transformation and a return to life through nature. When planted, the tree seed is nourished by and absorbs the nutrients from the ashes of your body which are contained inside. The urn itself is made from coconut shell and contains compacted peat and cellulose. The ashes are mixed with this, and the seed placed inside. You can even choose which type of tree you'd like to grow! Once your remains have been placed into the urn, it can be planted and then the seed germinates and begins to grow. You even have the choice to pick the type of plant you would like to become, depending on what kind of planting space you prefer. We now have the option of turning cemeteries into forests, which is a little bit less traditional but is far more practical. This could be a great way to help sustain the environment, contribute to the well-being of the ecosystem, and to know that the remains of your loved ones will live on through the beautiful expression of nature. So which would you prefer; leaving behind a tree or a tombstone?